Why does your marriage matter? Maybe you think your marriage matters because you can share the work load around the house, split carpool duty, and maybe even the cooking (or the dishes). Maybe it’s because two incomes are better than one and you need somebody who can pick up the slack when you’re out of town. Maybe it’s because you’re already out-numbered by kids and pets and one adult down would send you into a world of chaos. But what if there are other reasons why your marriage really matters, reasons beyond the hum of daily life? What if, with some time, intention, and an understanding of why God created marriage, we could see how our marriage makes us better able to love, serve, and heal? And what if our marriage really matters, not only for ourselves and our family, but also, for the world? The next Marriage Matters group is scheduled for the fall so be sure to hit the waitlist button below and fill out the form so we can keep you updated! "The best thing about Marriage Matters was learning different communication styles applying them to my marriage. 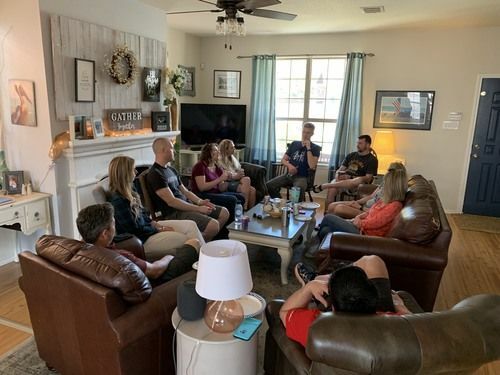 It was great to feel comfortable enough in front of an intimate group of couples to be able to open up and share marriage successes and struggles."